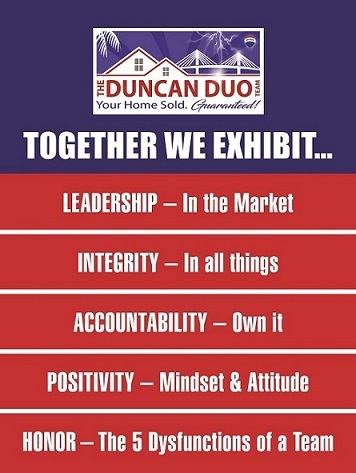 We take our core values at The Duncan Duo at RE/MAX very seriously and we aren’t just focused on being a leader in real estate, but in our community. 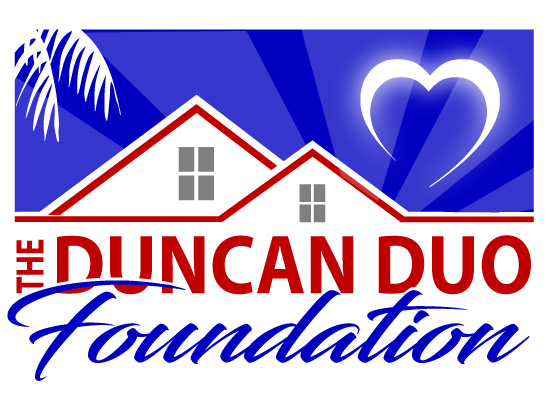 We started our own 501c3 organization – The Duncan Duo Foundation – to continue to give where we live and give back to the community that has given so much to us. We take pride in not just providing financial support to several local and national charities but our owners, team members, and families regularly volunteer their time to help the mission of the charities listed below on this site. The purpose of this page is to share information about our favorite charities and our involvement with them but also to let you know by working with us, you are helping some of these great organizations give back to our local community. The video at the top of the page briefly introduces how you help these charities by supporting our business and the video below that goes into more detail about our involvement. Lastly, as you scroll to the bottom of the page you will see information about our involvement with our approved charities (Children’s Miracle Network, Metropolitan Ministries, Julie Weintraub’s Hands Across the Bay, Special Operations Warrior Foundation, and the Tampa Bay YMCA). We have also partnered for several years with the American Red Cross and Tampa Bay Lightning to do a holiday card signing event for troops and Veterans. Our team has donated money from every closing and sent honor cards as gifts to clients of said closings. 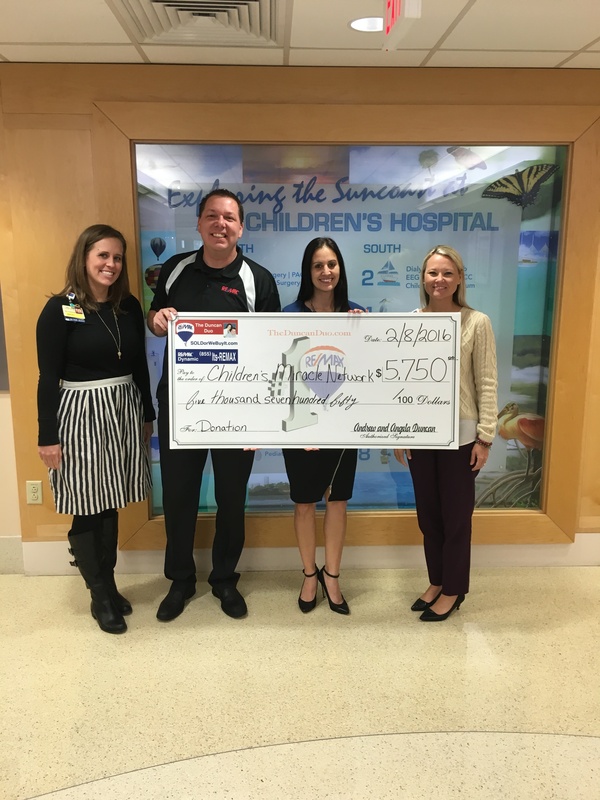 Over the past few years we have raised over $25,000 for Children’s Miracle Network. If you buy or sell with us, you’ll receive an honor card that tells the story of a child in need that was helped because of your support of our business. 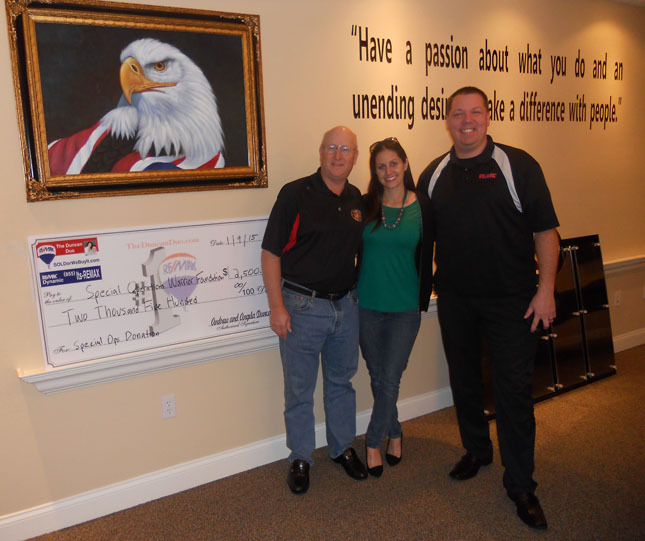 We have also participated in the annual RE/MAX Big Give Charity Auction in which all proceeds support CMN. This year alone we won an item for $10,000 of which all proceeds were provided to Children’s Miracle Network. 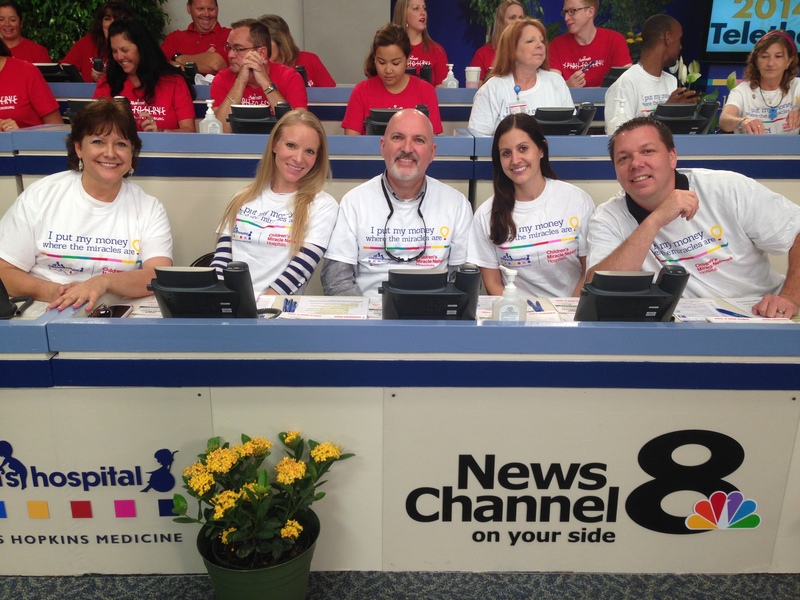 Prior to CMN discontinuing its telethon, our team volunteered every year in the phone bank to take in donations. 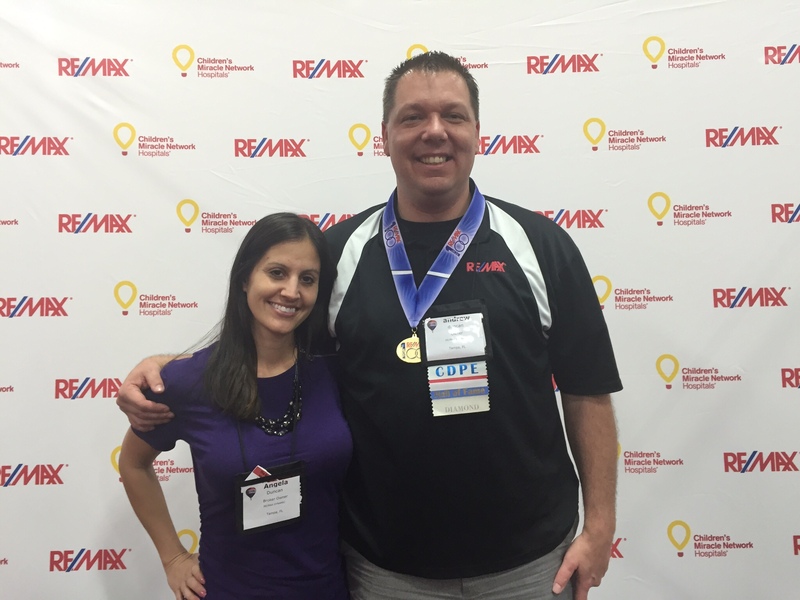 RE/MAX agents across the country have raised millions of dollars to help Children’s Miracle Network and their affiliated hospitals. Below are some photos of check presentations as well as photos of our team volunteering with this wonderful charity. 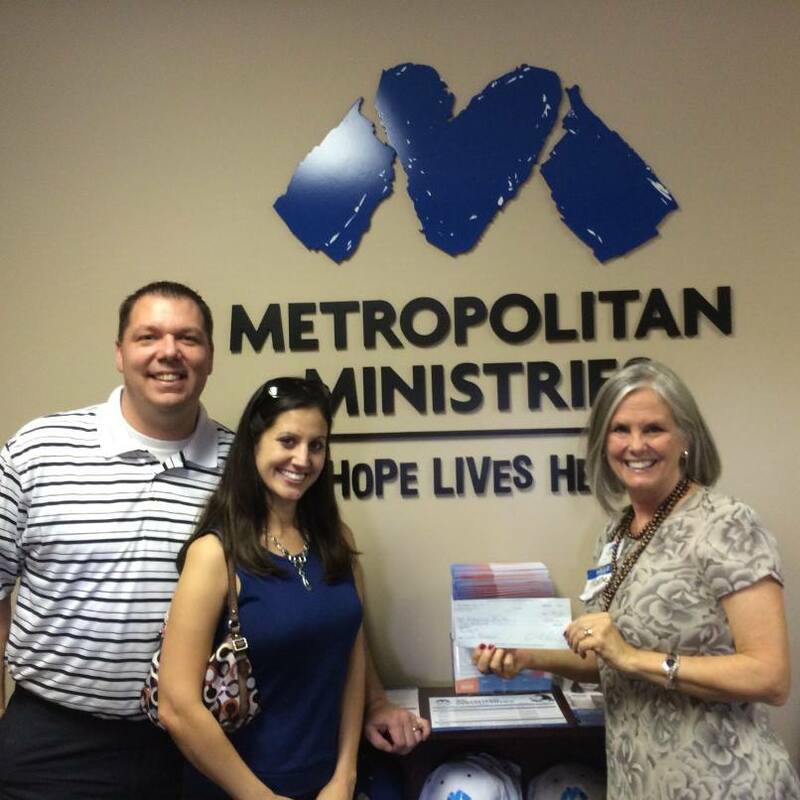 We are so proud and honored to be involved with Metropolitan Ministries. Their mission of helping the homeless and disadvantaged families is something we became involved with several years ago. Before we had the business we have today, we would volunteer our time on Thanksgiving and Christmas by preparing food for the homeless and helping them pick out gifts. 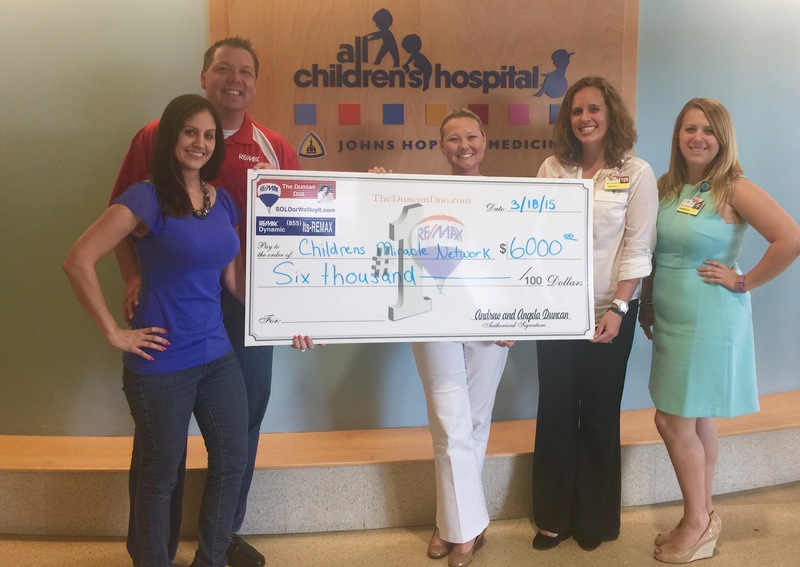 As the years have gone by and our business has grown, we’re blessed to continue our volunteering at this awesome charity and our company now donates more than $10,000 annually. We also take in kind and goods donations at our office during the holidays. Our mission has spread to our team members who also volunteer and our daughter who has decided to request family members not buy her a gift for her birthday, but rather Barbie dolls and toys as donations that she can deliver to Metro. Below are some photos of check presentations as well as our team volunteering and our daughter’s video in which she asks for support of this wonderful charity. We have also continued to sponsor and support the Annual Tampa Bay Food Fight to help homeless individuals gain employment in the culinary industry. We recently became involved with the Special Operations Warrior Foundation and took a tour of their facility and met their team. Andrew Duncan is the son of a purple heart winning Vietnam veteran. His father Terry served in the Army from the late 1960’s to early 1970’s before losing his leg to a landmine and his brother Derrik retired from the Army a couple of years ago. We have had team members who served and presently have spouses of veterans working on our real estate team. While Andrew never served, he knows the opportunities he’s been blessed with would not have been possible without the sacrifices of those that serve and we felt a calling to become involved with a great military charity with local ties. 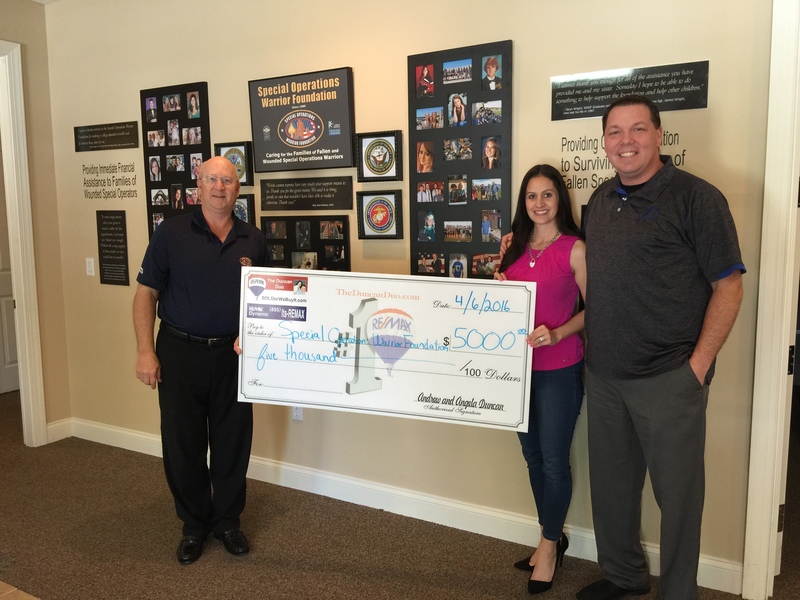 Being located right outside of Macdill AFB, we were told by so many clients that were on the base that SOWF was the right charity for us. 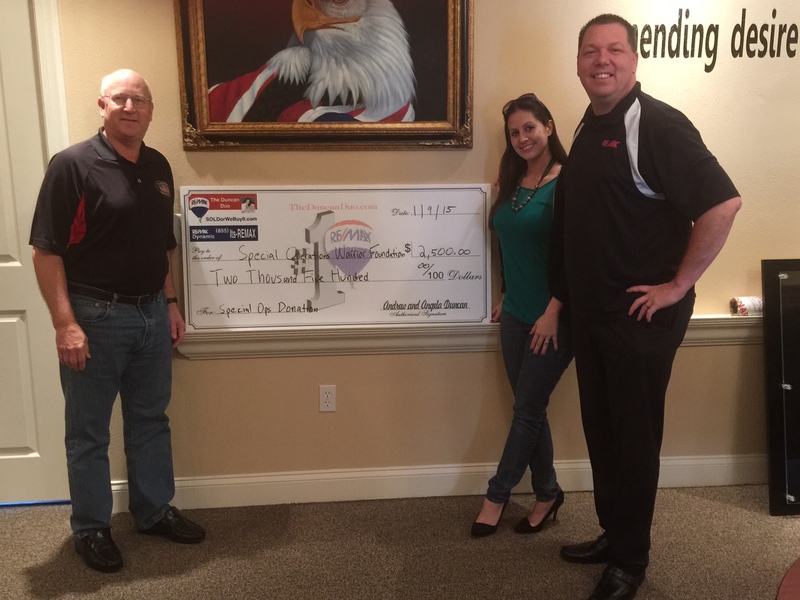 We recently brought them a check for $2500 and now are donating $50 for every Veteran or active duty service member that works with our company. Hands Across the Bay got our attention a few years ago when one of their team members survived a vicious domestic violence incident. We had the pleasure of meeting Steve and Julie and immediately wanted to get involved as it was clear they had a passion of helping people locally and not building a charity with a lot of overhead and bloat. We had seen their ads on TV but never knew the lengths they went to in order to help those in need. 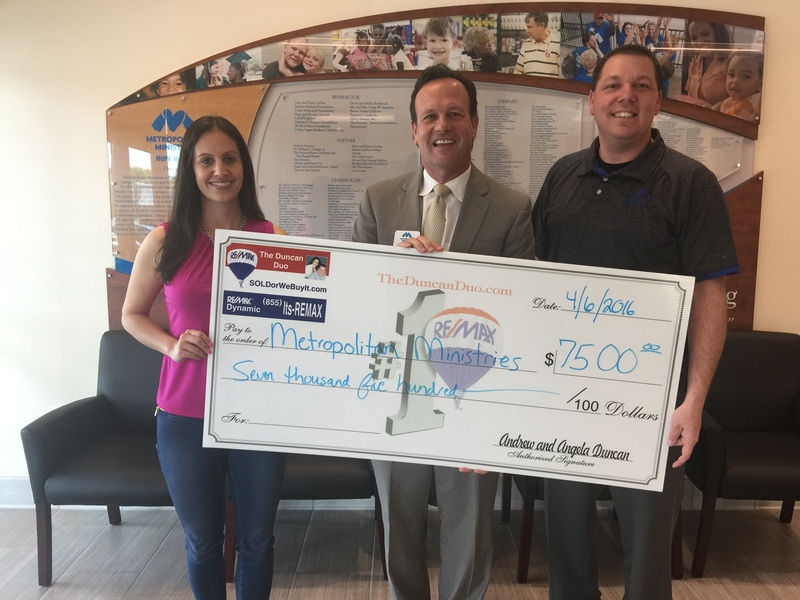 We love that the funds contributed stay local and their focus on domestic violence victims is important because its a group of people that oftentimes don’t have a voice. They also do a really cool kindness warriors project that focuses on random acts of kindness and has helped the military, police, firefighters, and first responders. 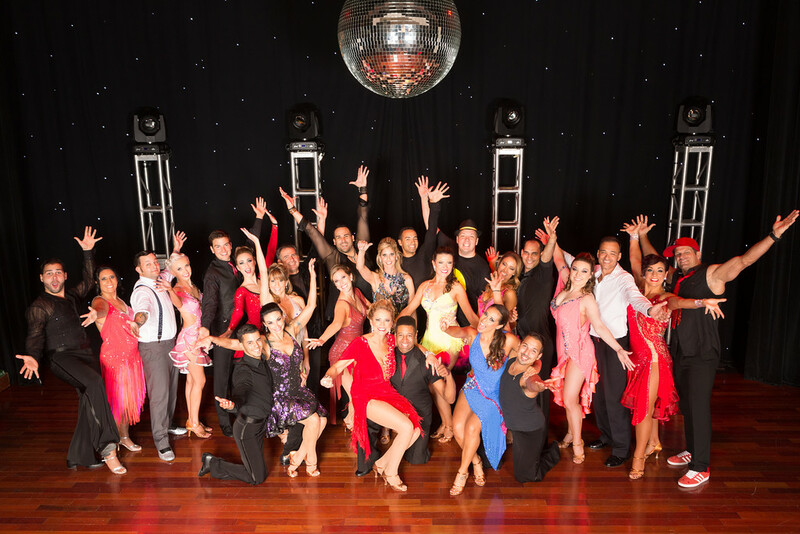 Angela Duncan competed in Dancing with the Stars in 2014 and Andrew followed her performance up with his own in 2015. Andrew won the online votes portion of the event with more than 33,000 votes (each vote = $1 raised for Hands Across the Bay and their beneficiaries). Angela danced to Justin Timberlake’s ‘My Love’ and Andrew danced to Pharrell’s ‘I’m Happy’. 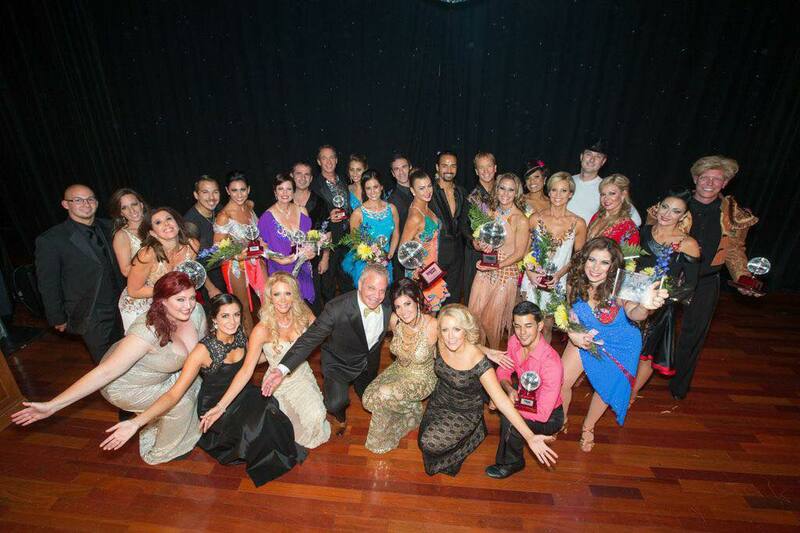 Videos and photos of their events and performances are below. The Tampa Bay YMCA sometimes gets forgotten as a charity organization. 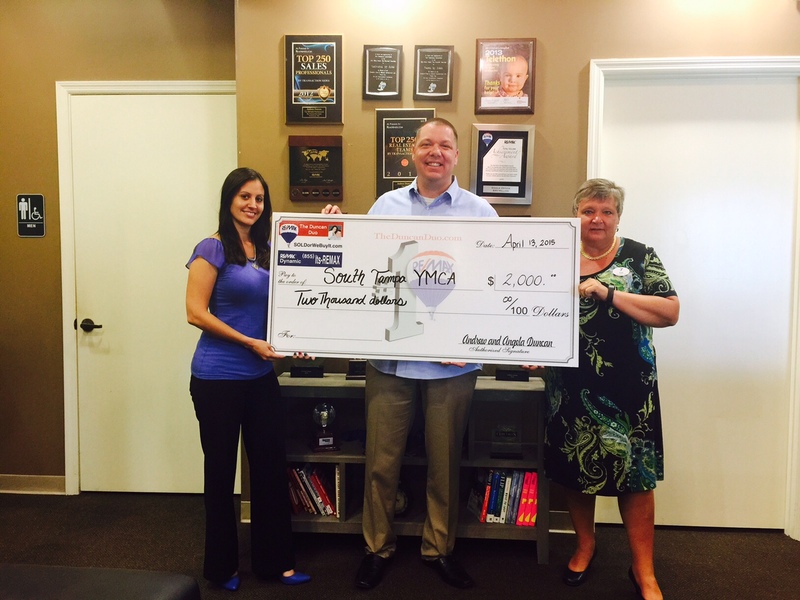 We have been involved with the South Tampa YMCA since we opened our RE/MAX office and have been a banner donor since 2012. Angela Duncan is currently a board member for the South Tampa YMCA and has lead the annual fundraising efforts that have broken local records. Our personal funds go to help disadvantaged children gain access to facilities, buy new equipment, pay for memberships and programs that help those in need. Several of our team members were on discounted YMCA memberships as children and they felt it important to pay it forward since they received those benefits as a child. We regularly volunteer at the YMCA’s easter egg hunt as well as various holiday celebrations. You’ll see the donation banners at the South Tampa YMCA with our name on them as well as displayed in the hallway of our office. 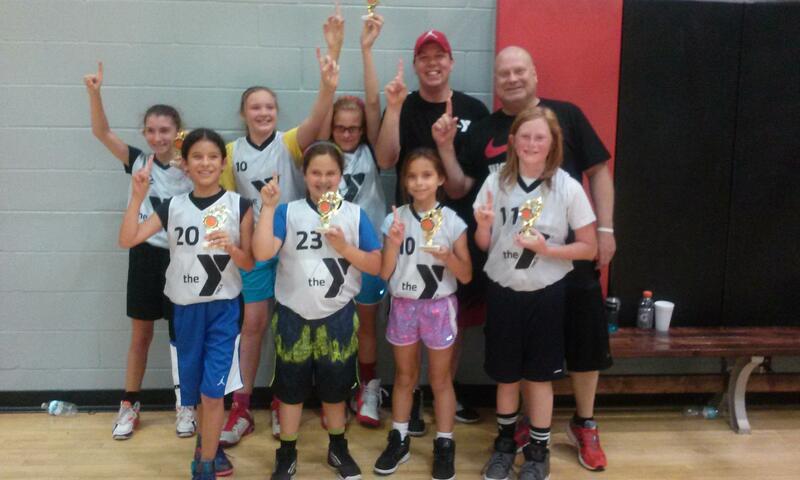 Andrew Duncan has also volunteered his time for several years to coach 9-14yo girls basketball at the YMCA in South Tampa. 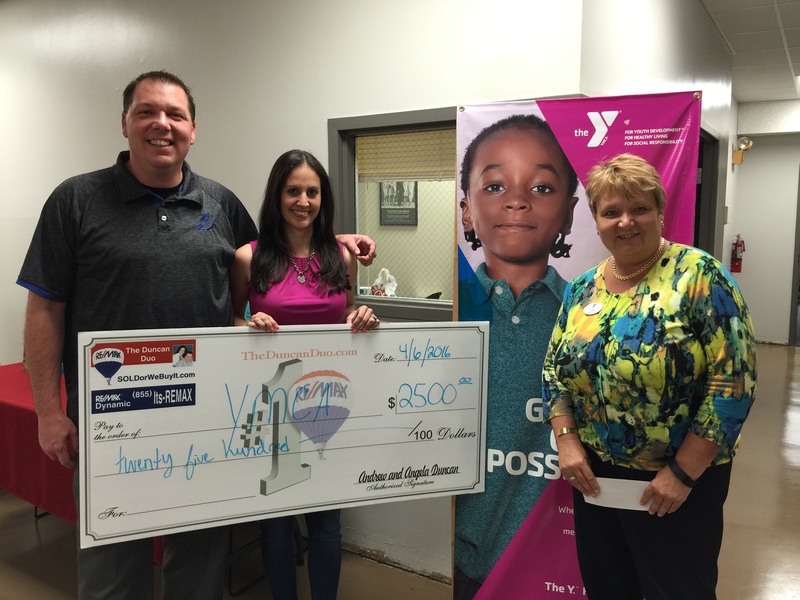 Below are a couple of photos that show our involvement with the YMCA.